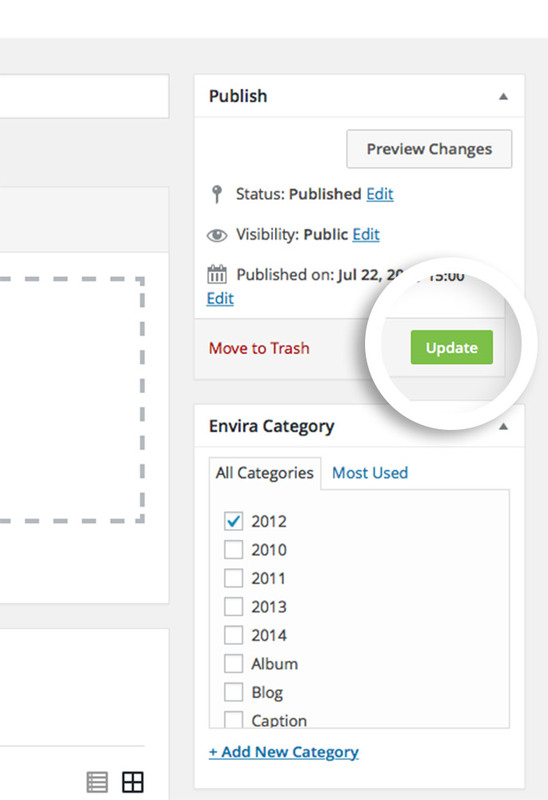 Would you like to use Envira Gallery to bulk edit your gallery images? 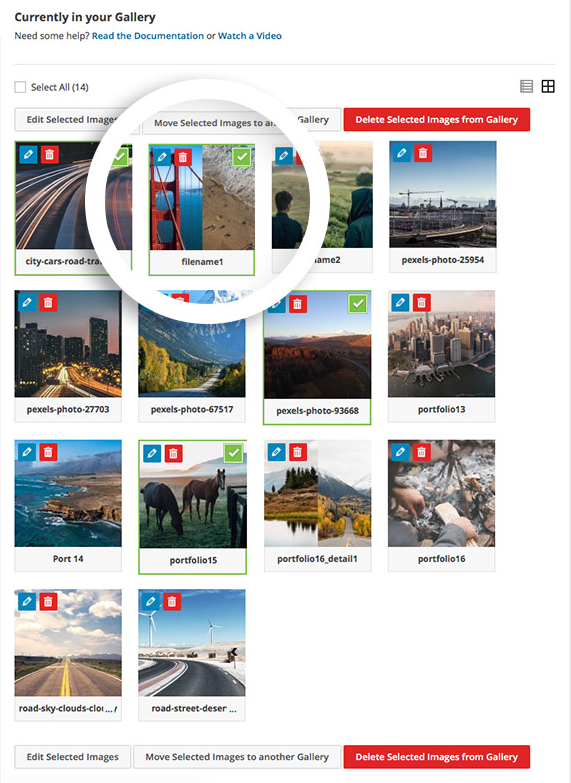 You’ll find this especially useful if you want to link multiple images to the same URL (such as your Facebook page) or add multiple tags to several images when using our Tags Add-on. This tutorial will walk you through how to bulk edit your gallery images. 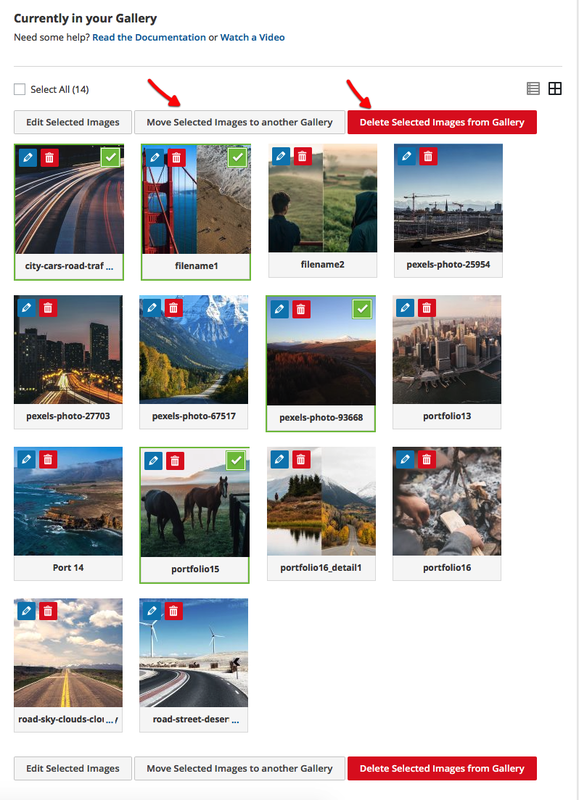 Can I also bulk move and bulk delete gallery images? 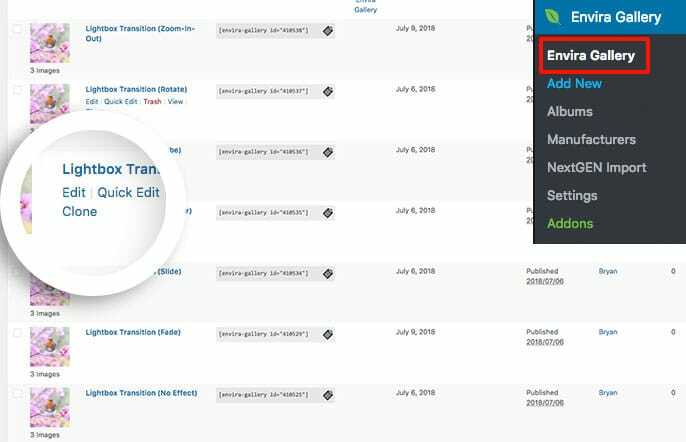 Choose the gallery you want to edit from the Gallery list screen. Click on Envira Gallery from the WordPress admin area and you’ll see a list of all your galleries. 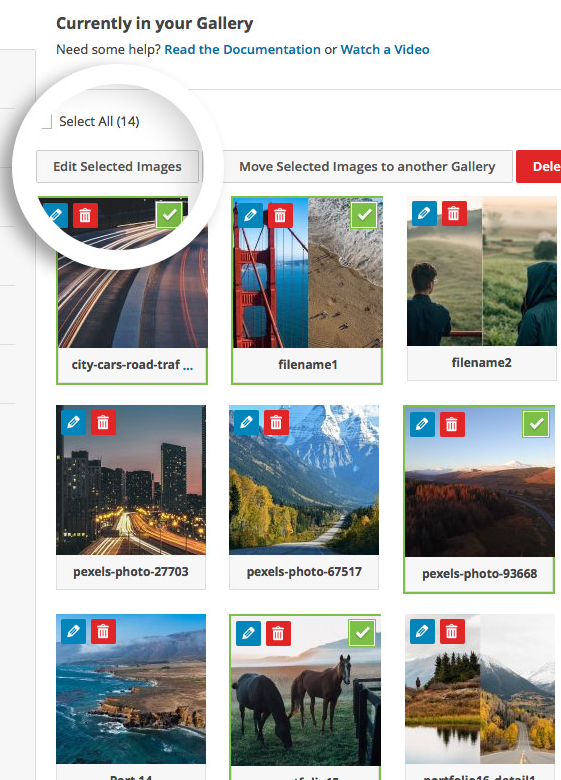 Select the images in your gallery you wish to edit by just clicking on the images you want. As you select your images, each image will appear with a green border as well as a green checkmark to give you a visual indication that you have selected that image. For the purpose of this demonstration, we are going to be editing our images to add a url and tags, so we will select Edit Selected Images. Next, a pop-up window will appear with all of your images you have selected as thumbnails to edit. From this screen you can give each image you’ve selected the same title, caption, alt text, url, open in a new window option and tags. When you’ve completed editing the metadata, click ‘Save Metadata’. The same metadata will applied to all of the images you have selected. 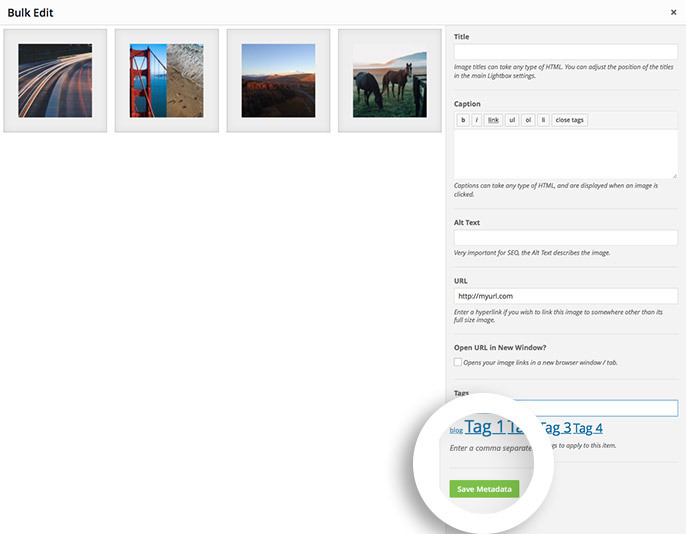 Finally, to save the new metadata on your images, select the Update button for your gallery. Q: Can I also bulk move and bulk delete gallery images? A: The same process can be completed to move images from one gallery to the another or completely deleting the images from the gallery by repeating the above Steps 1 and 2. Then clicking either the Move Selected Images to another Gallery or Delete Selected Images from Gallery.